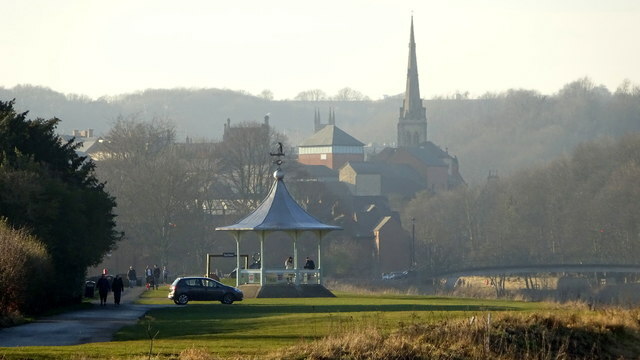 View across the River Wear to the Bandstand and on to the City centre. Sculpted ceramic and bronze by Andrew Burton. Represents the lost cow at Dun Holm, that monks had been told was the place where St Cuthbert's remains were to be laid to rest - hence Durham Cathedral.